Dura-Kote DK 600WB is a water-based clear floor epoxy that has a very low VOC that can be used in almost every state. Used as a high-performance clear top coat, that can provide the durability and a high traffic clear solution. Withstands high vapor transmission rate, up to 13 pounds per 1,000 ft² (5.4 kg per 100m²) in 24 hours. Provides a non-permeable vapor barrier, even in basements. 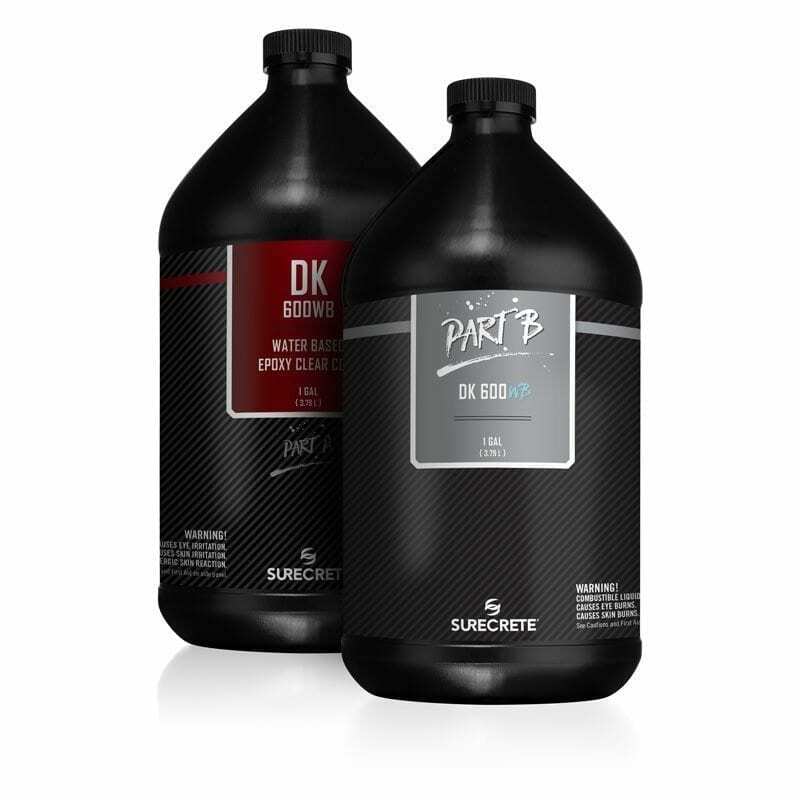 Applies on fresh concrete as soon as three days after pouring and placing concrete. Dura-Kote Epoxy WB is ideally suited for both commercial and residential settings: manufacturing facilities, warehouses, bars, clubs, retail stores, automotive showrooms, hospitals, medical centers, residential interiors, garage floors, gyms, locker rooms, stadiums, or anywhere that an exceedingly resilient floor is desired. How to Apply SureCrete Dura-Kote Epoxy WB eco-friendly water-based clear floor epoxy? Any surface that is about to be sealed needs to be completely cured, clean and free of all contaminants and fully profiled and etched. Moisture should also be limited as colored water-based epoxy systems are non-vapor-permeable sealers. Make sure that temperatures will remain between 50 and 90 degrees Fahrenheit and a relative humidity below 75% and there will be no precipitation in the applied areas for a 12 hour period following application. Pour 1 part B into 1 part A into a large mixing container and mix mechanically for a minimum of 3 minutes. Use a premium, de-fuzzed, phenolic core roller to roll out thin coats over a workable area, making sure to maintain wet edges and backroll the entire surface. Two layers are suggested with any interior project receiving a water-based epoxy coating. The first coat must be dry to the touch (typically within 6-8 hours depending on environmental conditions). If first coat has been allowed to cure longer than 12 hours, the surface will need to be screened with a 100 grit sanding screen before second coating to ensure a good bond. Second coat applies same as the first coat. While not necessarily required, we suggest the use of a sacrificial wax coating such as SureFinish to extend the life of the floor and add a measure of slip resistance. Question: Can I use just one coat of Dura-Kote Epoxy WB? Answer: Technically yes, however, it is not suggested. For the best results, we highly recommend using two thinly applied coats. Dura-Kote Epoxy WB has been known to function better than comparable sealers in situations where a single-coat interior sealer is required. Question: Will Dura-Kote Epoxy WB self-level and fill small holes? Answer: To a very slight degree, yes. It is a higher solids content coating than an acrylic sealer but is not strong enough to fill large voids or cracks in your substrate. 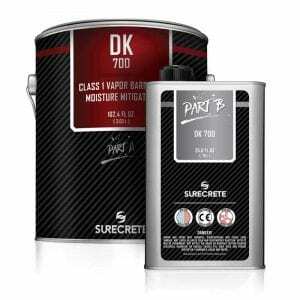 Question: Can Dura-Kote Epoxy WB be used outside? Answer: No, epoxy coatings are not vapor-permeable enough in nature and therefore should not be utilized in exterior applications.